Hello everyone. Glad you’re back! Lots of tips today. And time to get a little personal. Kinda. 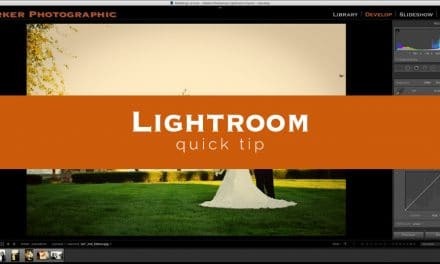 Customizing the Layout of Lightroom! 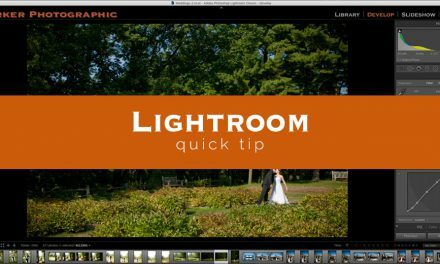 In a nutshell, todays installment is about customizing the layout of Lightroom for your “personal” workflow. Yes, it’s all about your workflow again. 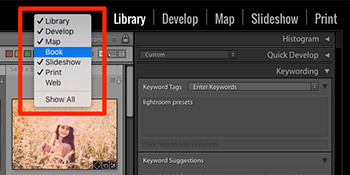 Anything you can do to systemize and make it easier/faster to do something in Lightroom, is worth talking about. Even the layout of Lightroom. Plus, all those panels and Modules can be intimidating if you’re new to Lightroom. And, you may find that you’re not using them all. To hide or not to hide panels? Show or hide links? Show or hide inner panels, tools and more, oh my! Let’s start at the top. Hey, where did we hear that before? There are a total of 7 modules within Lightroom (in this order – top right); Library, Develop, Map, Book, Slideshow, Print and the Web Module. But, what if you don’t use all the modules? Well, hide them. For instance, I never use the Book or Web Module. 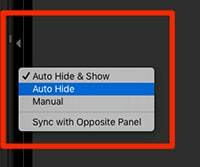 Right click in the upper right panel and de-select any Module you wish to hide. Presto! All gone and less clutter. Want them back? Right click and re-select. Right click on the inner panels to show/hide specific inner panels. Solo Mode is pretty awesome. Select and give it a go… Er, click on a new inner panel and watch what happens. …and that will show or hide it. Plus, my favorite option is -> Auto Hide & Show. Try it. When you do, then place your mouse over the arrow and the panel will become visible. Navigate away from the panel and it “auto” hides. Neat, eh? Right click on your background to change the color. Right click on your Identity Plate for more visualization options (and features). Oh… select “Edit Identity Plate” and you can change it to custom text or your logo and you can also change the fonts (and colors) of the “Module” text. Plus, much more! Check it out. Have a small monitor? This little tip is invaluable for additional monitor real estate. Press the letter “T” to show/hide the Toolbar. Since we are on the Toolbar… click on the little arrow, all the way to the right, to show/hide additional tools. Pretty cool, if I do say so myself. Press the Tab key on your keyboard and it will hide BOTH the left and right outer panels. Press Shift-Tab and it hides the top and bottom outer panels, at the same time. Okay, there you have it. 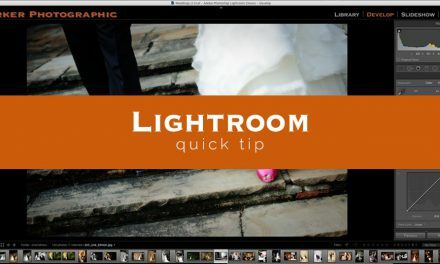 A bunch of tips and different ways to customize your Lightroom layout. Small but powerful ways to personalize your workflow. Option number 1; customize your layout. Option number 2; use a gigantic 72” monitor. Well, maybe not that big. I do like my 27” iMac though (and I still hide my panels). Did I miss anything? Do you have any additional tips you’d like to share? If so, let us know in the comments section below.